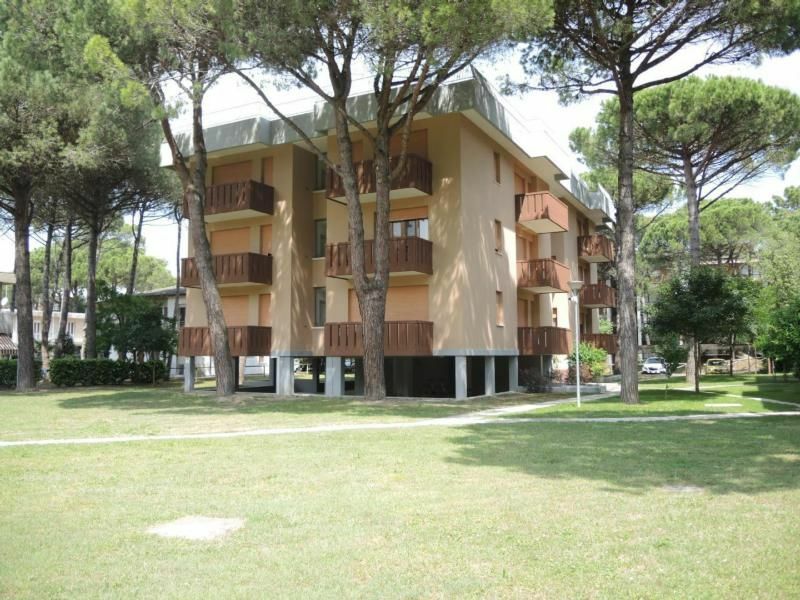 The Condominio Corinzia stands in Bibione Pineda a short walk to the sea and to the pinewood falking the beach; it is a small building with elevator and it has flats with large terrace and private parking place. The two-roomed flat type B* with air conditioning consists of living room with cooking corner and single-sofabed, bathroom with shower, bedroom with 1 double-bed and 1 single-bed, habitable terrace space, covered parking place. - beach service (1sun umbrella, 1 sun bed, 1 chair): per object and day included in price . Bed linen (per person and week, according to consumption 8 EUR). Cot (Per property and week, to be brought by the traveller 20 EUR). Towels (per person and week, according to consumption 8 EUR).